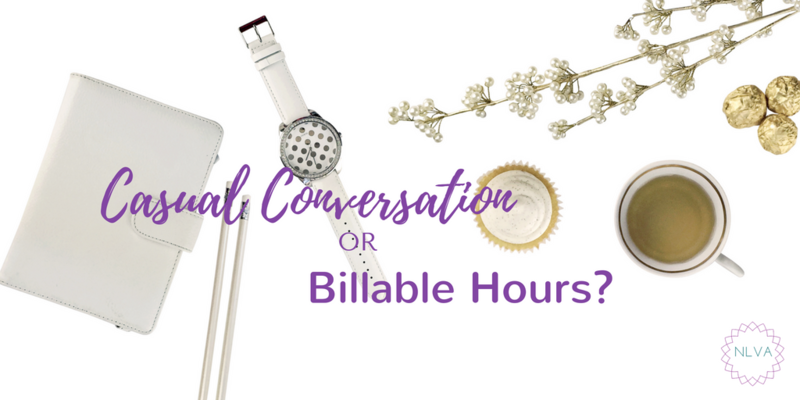 Sometimes what starts out innocently enough as a casual conversation, turns into what really should be billable hours for your business. We have all been there. You are at a networking event and someone you have never met before saunters over, business card in hand, to ask you what you do. When a bright smile takes over their face, you start to think there is potential here, right? Wrong. You quickly realize this person just wants to “pick your brains” and expects to get your expertise for free. I wrote a post about this exact scenario awhile back. What I am talking about today is a bit more difficult to deal with. 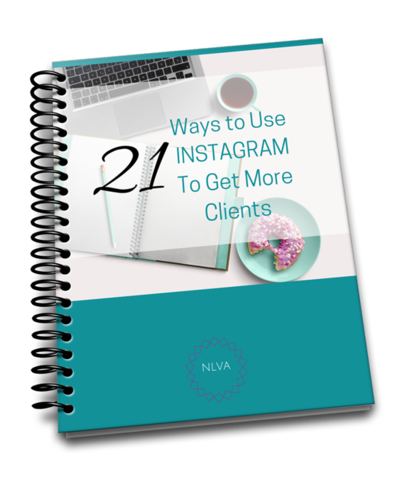 What do you do when it’s a friend or client? I am just gonna say it, right here and now. I have issues with boundaries. And it almost seems at times that people can “smell” it on me, because I find my boundaries pushed almost daily. Questions about social media, WordPress and more. And not just a quick, one sentence type of situation. The expectation is you are going to sit and in exchange for a Starbucks coffee, offer up your years of accumulated expertise. Um, no. I can’t tell you how many times friends have done this. It’s to the point where I don’t talk about my business with them anymore. Now how about clients? Or former clients? You want to maintain the relationship right? But at what price? I have had clients who have no issues asking for discounts and then balking when I said my rates were going up. I don’t work with them anymore. I also have former clients who asked for “help”, but then when I said I was going to bill them – all of a sudden, it’s not a priority for me to do the work. It’s frustrating and demeaning. I honestly don’t think it was their intent to cause me to feel that way, but it still feels kinda crappy. My advice to you is to stand your ground. My standard response to anyone who is looking for “help”, but for whatever reason doesn’t think they need to pay me is, “Sure, I can help you with that. Let me get an estimate together for you and send you an invoice, so we can get started.” It is direct and to the point. Either you are going to pay me what I am worth to complete your task, or I can’t take on the assignment. Period. Don’t feel bad about it. I used to until I realized the same people were trying the same thing over and over again. And when I did a rough estimate of what I was losing in potential income, I realized I was teaching them how to treat me. 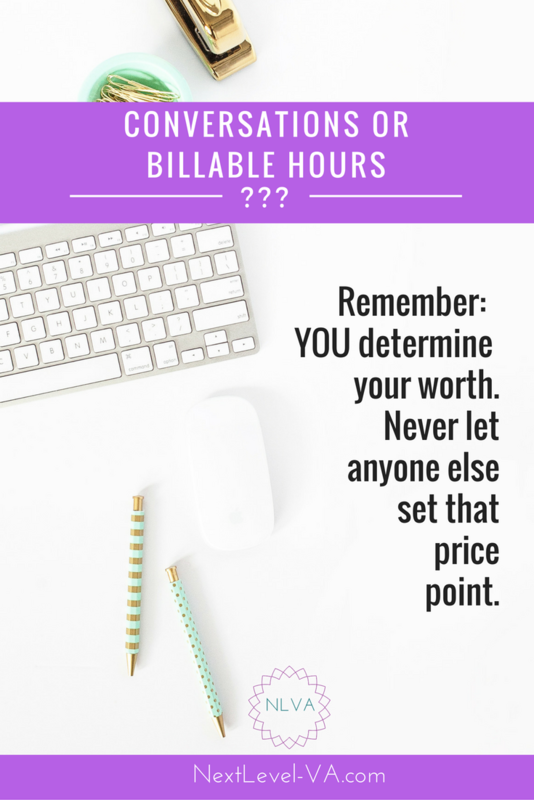 You determine your own worth. Never let someone else set that price point. At the end of the day, you would be surprised how many people will stick around and pay you what you are truly worth. And those who don’t were never really your ideal client to begin with. #ByeFelicia. I think sometimes people just do not know how to behave in a way that supports others. I recently went to a bar that a friend of mine had opened and I paid my tab. He was surprised and said he did not expect that I would pay. He thought that I would expect him to cover the drinks on the house. I told him that I was there to support his business and $12 was a small investment in his business. He said I was the first friend that did that. Yes, Lisa, you are worth your weight in gold and you deserve to be paid and get paid. Thanks for stopping by Iyabo. I love your response here. I still feel we teach others how to treat us. We can’t complain about what we allow. YES!!! I have with this so many times. You are absolutely right that we allow it, but people who treat their “friends” this way are absolutely repulsive. It should be common sense not to take complete advantage of your friends. I’ve been working on boundaries for a while and sometimes I do extremely well…other times not so much. And I find that it’s when I’m in a financial rough spot that I’m more likely to let people take advantage in return for the hopes of fair payment. Every time I fold, I feel sick inside and it’s never worth it in the end. Hey Chantilly – 100% agree with you. 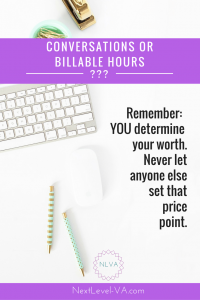 It is when I am under financial constraints that I find myself taking on that client that I know won’t be a good fit long term and will only drive me crazy. If it’s helpful, I tell myself by “clogging up” my energy with someone I know if NOT a good fit, I need to say NO in order to keep the path clear for those who are a good fit. Hugs!